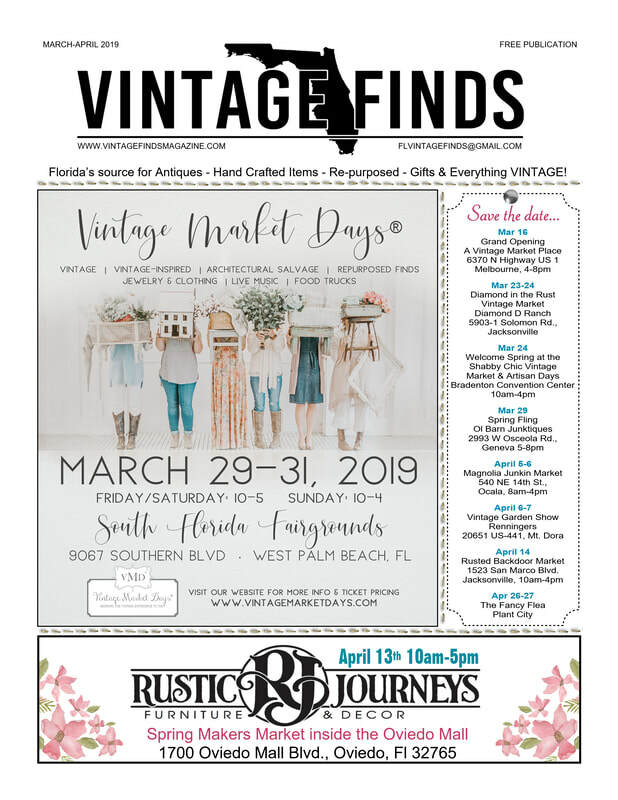 Florida's source for antiques, handcrafted items and Everything Vintage! ​Published bi-monthly and distributed as a free publication to participating sponsors. ​Inside each issue... the best vintage shops, upcoming markets, antique shows and store openings. Articles about talented artists, market vendors, antique shopping and travel. brought to you by Kathy Gonzalez.